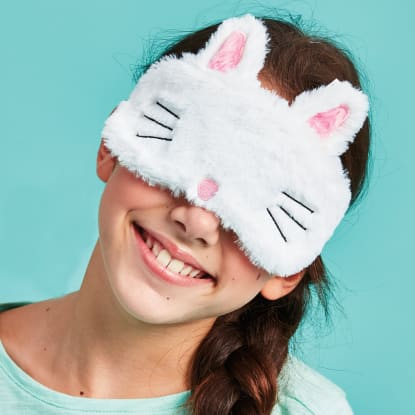 Kids and tweens will feel oh-so glamorous when they hit their pillows with our ridiculously adorable eye masks. 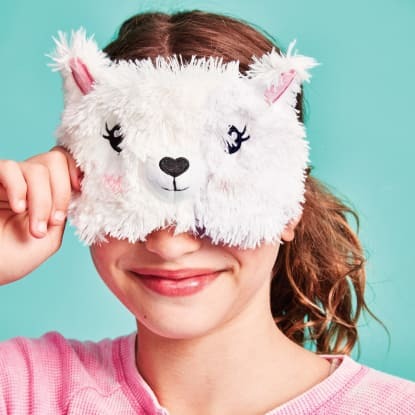 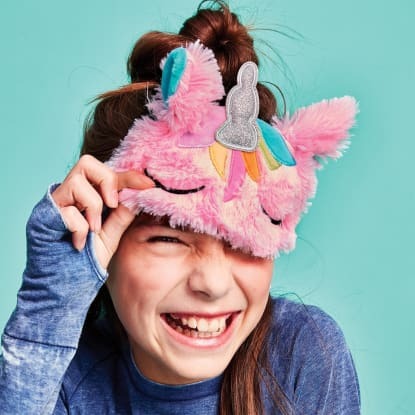 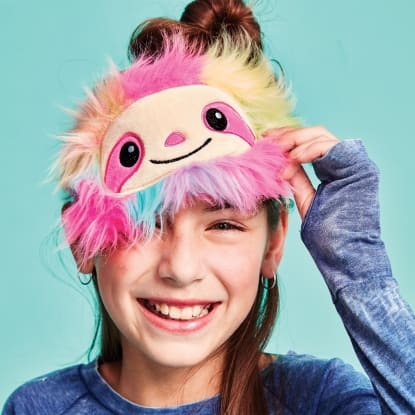 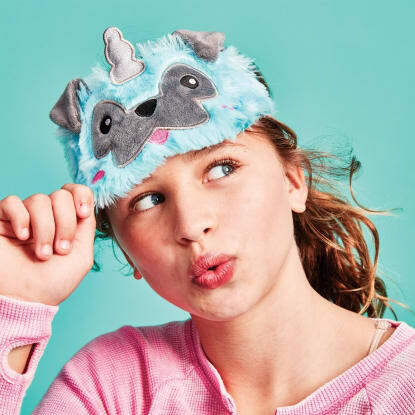 Featuring fun designs like furry unicorns and llamas, sleepy sloths and more, our eye masks are sure to make anyone smile. 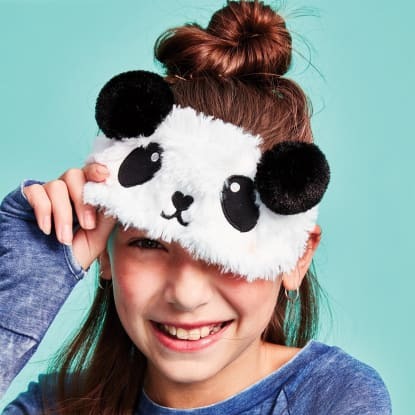 With a satin lining they are super comfy too! 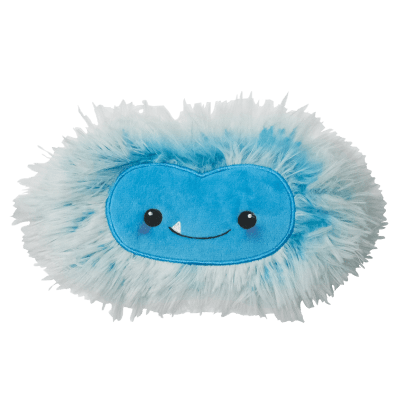 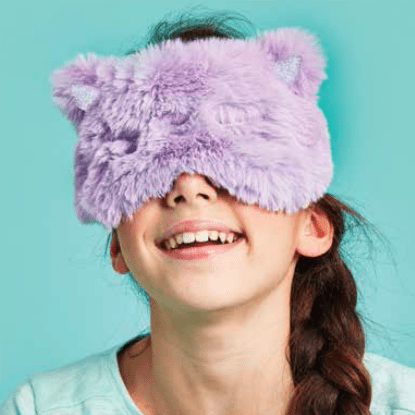 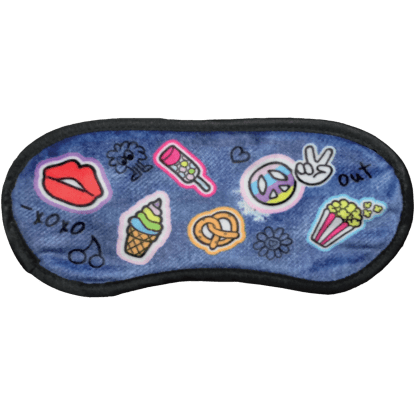 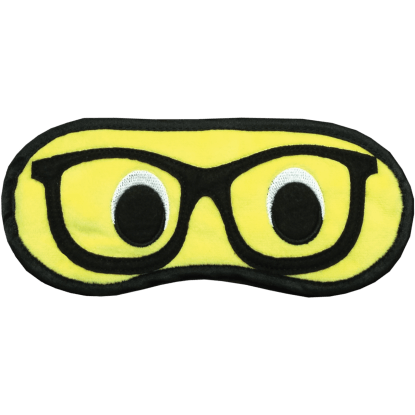 These sleep masks make perfect gifts, stocking stuffers and party favors and are great for adding a little oomph to an already fun sleepover.